CPD points (Continual Professional Development) are available for the course. The Mindful Movement Training for Facilitators and Therapists is an experiential training that introduces participants to a practical and psychological understanding of our relationship to our physical being. Its aim is to enable facilitators and therapists to confidently and meaningfully use mindful movement with their groups and clients. The course reveals the psychology and philosophy contained in our movements, postures and body sensations. 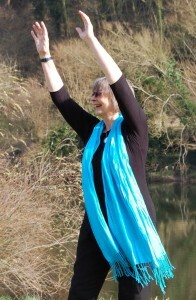 Alongside various practical methods of accessing the energies and insights of the body’s wisdom a set of simple yet powerful Qigong exercises are explained and taught. These gentle and potent movements offer a direct and intuitive access to the deep wisdom of the body through which reveal our habitual tendencies, both emotional and mental, that are experienced before any intellectual cognition. The material covered during the weekend will ensure that each participant leaves with the confidence and insight to use aspects of the movement offered as required and also to lead a short movement practice to support and deepen their mindfulness and therapeutic work. It is for those who might flounder at the thought of guiding others through body work as well those whose confidence is more present. Held at Mill House Farm. £195 course fee includes lunch and refreshments each day, all course notes, sound files and a DVD of the movements. Register here. Cancellations: Deposit or full fee will be refunded in full less £15 administration costs if cancelled up to 3 months prior to the course, thereafter half of the deposit will be refunded if cancelled up until two weeks prior to the course. No refund for cancellations two weeks or less prior to the course.